Another Road Trip Route to Consider. I found this web site but the ads made it impossible to read. Here is an ad free version to keep on file. 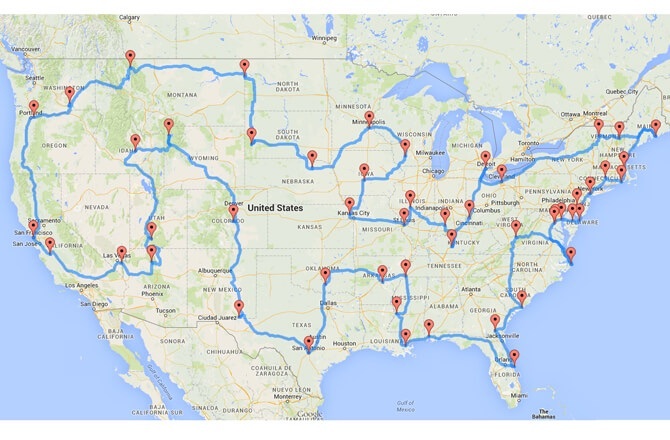 With the help of a sophisticated algorithm, this road trip allows you to start in any state. Just hop on at the point that runs through your state and keep going until you’re back at your starting point!